Katie Lance had a bucket list moment. It was at the 2017 National Association of Realtors Conference & Expo and she shared it with us during this episode of our #MeetTheUnicorns video series. “A couple years ago I was here at the at the NAR event and said, ‘Okay, one day my book will be here, you know, in the bookstore,’ she told us. And this year she walked by the bookstore and stopped short. There it was: her own book. That book was #GetSocialSmart, and it’s a top seller on Amazon. 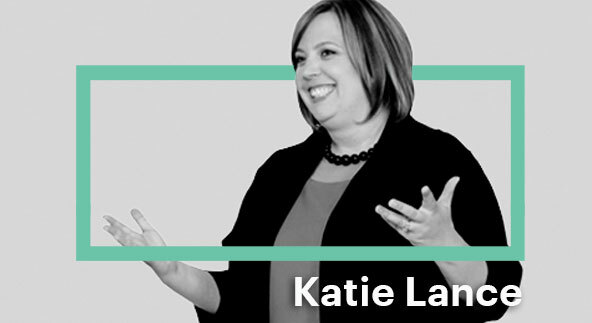 With her Get Social Smart Academy and Katie Lance Consulting, Katie has her finger on the pulse of all things social, and she helps share that pulse with her audience in the real estate and mortgage industry. And as trends shift and new tools come about, Realtors look to Katie to understand what it all means and what they should do for their own business. So what are the three elements of a successful social post? Short and sweet. It’s a noisy world, and you gotta break through in a succinct way. Balance preparation with scripting. You want to be authentic and personable, not robotic. You also want to be knowledgeable and confident, which takes a bit of practice. Give them a call to action. Tell people what you want them to do! The Relola app helps agents validate their local expertise. And for Katie, social is the best way to showcase that expertise. New agents in particular can use apps like Relola and their social channels to build an sphere of influence. “You may not have a book of listings and a book of business, but why not be proactive and recognize people in your local community? You know, your favorite local business owners, your local boutiques. Those social channels are how you stay in front of people, after the transaction. “The average person isn't buying and selling a home every year,” she noted. So you need to stay relevant. And that local expertise is the key to your relevance, regardless of the stage of home ownership. While Facebook and Twitter still the dominate channels for Realtor, Katie wants agents to keep their on two other: Instagram Stories and Snapchat. two platforms to really keep an eye on this year is Instagram Stories and Snapchat. Both are ephemeral but both are highly visual. “I don't think it's gonna replace any kind of long-form content. It doesn't replace blogging or podcasting or video. But t's a great opportunity for agents and brokers to tell the backstory. You know, the story behind the story. As Katie always says, Realtors will win when they take the offline online and take the online offline. Bring your everyday to your digital world, and bring the relationships you make in the digital world into your every day. And download the free Relola app to showcase your own local expertise, and share what makes you you on your social channels!